When thinking of lighting in a hotel, we should take into consideration the diversity of events that take place in a given space, be it a daytime conference or an evening wedding. Indeed, hotels now have a wide range of assorted facilities to manage: reception hall, restaurants, and corridors, hallways, guest rooms, and meeting spaces as well as service areas and recreation areas. It is critical to be able to adjust lighting, to change the colour of a space, and its ambiance from bright and lively to warm and inviting as some of these facilities operate 24/7, and the operating costs adds up quickly. Lobbies and reception areas are the two spaces in which hotels welcome their guests for the first time: Make them stand out. In these areas, a hotel has the opportunity to express its uniqueness as a brand through its architecture, its design, and ambiance. It is essential to incorporate flexible and controlled lighting options to create a specific atmosphere. 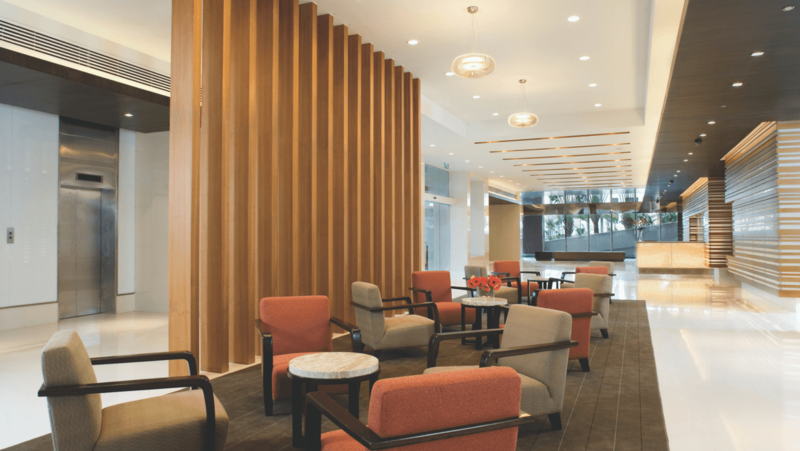 Because of their seamless sophistication, flexibility and beam distribution, downlights and traditional recessed fixtures are some of the most popular lighting choices for many hotel reception areas. An unmistakable, distinctive concept and design are particularly important aspects in the dining and entertainment areas: Lighting must emphasize the authenticity of the event, be it traditional, cool or exotic. Lighting has to serve a wide range of purposes. 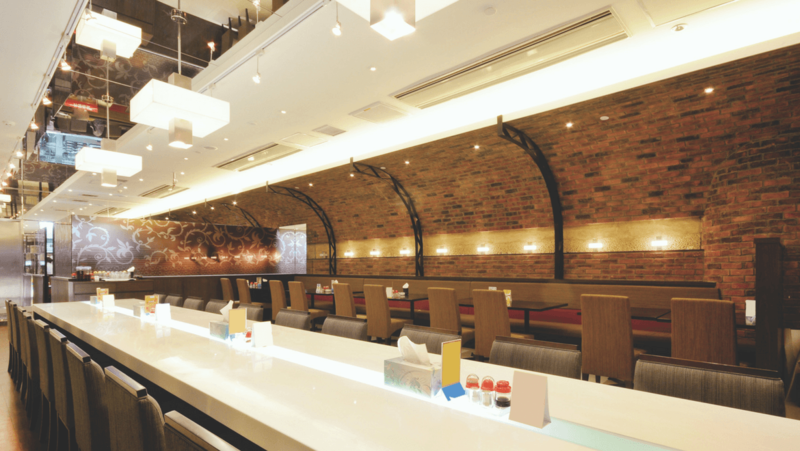 Downlights, ceiling mount luminaires, panels and slim bar lines help provide a variety of light sources. These spaces are leading guests to their rooms. Adjusted lighting can reduce the “tunnel effect” and make the route more inviting and as well as safe for guests. 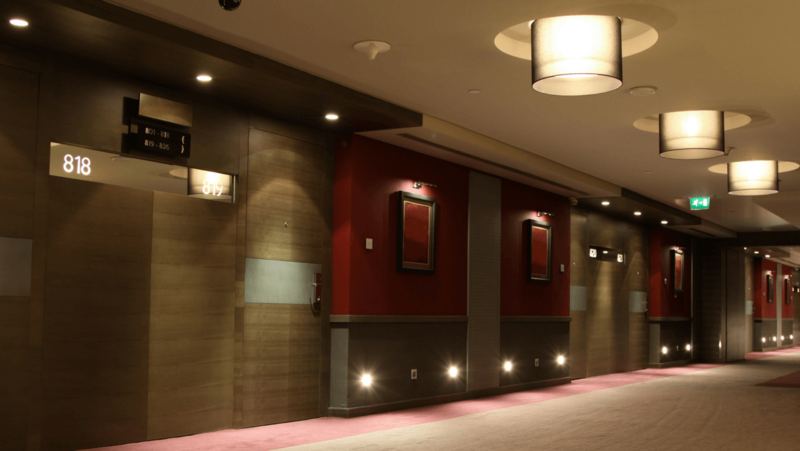 In addition, hotel owners must respect strict emergency lighting regulations. Finally, hotel staff spends a great deal of time in these areas, so adjusting lighting levels for their comfort and to facilitate working efficiency are also important factors. Downlights and ceiling mount luminaires can improve light levels while maintaining an inviting look. A hotel room is no longer just a room to sleep in, it has now multiple functions: it’s also a place where we eat, work, and relax. The lighting layout needs to reflect the variety of uses and provide the correct light levels to meet all those functions. 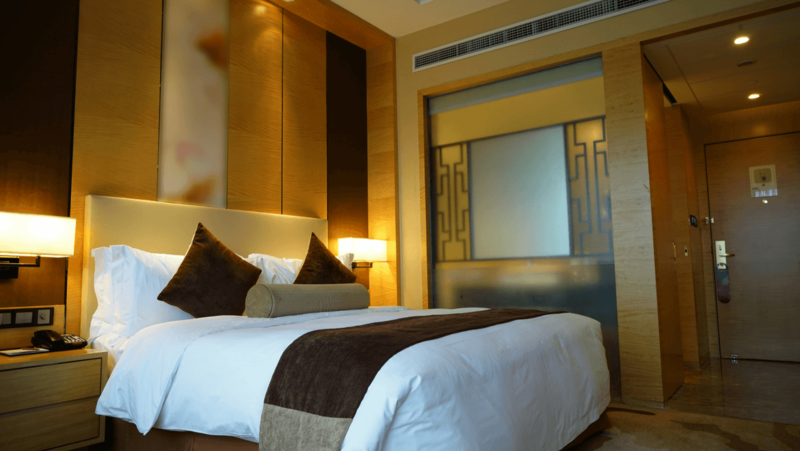 That is why it is important to include the 3 Basics Types of Lighting in guest rooms.